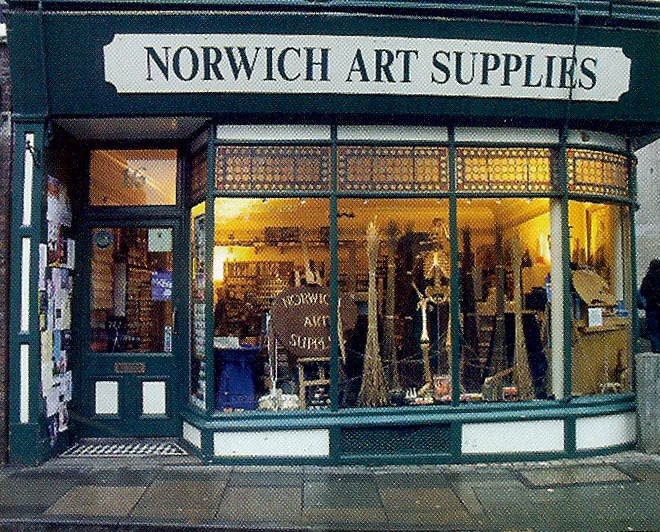 Established in 1996 in the heart of Norwich, we pride ourselves on offering a wide range of artistic supplies. We stock several makes of oils, acrylics, watercolours, pastels, papers, printmaking supplies as well as drawing materials, sketch books, watercolour blocks, Indian inks, gilding materials, brushes, solvents and many more. Not everything we stock is on the website yet, but we are adding the rest as quickly as possible. In the meantime, if you don’t see a particular product listed, it’s worth contacting us to see if we have it.